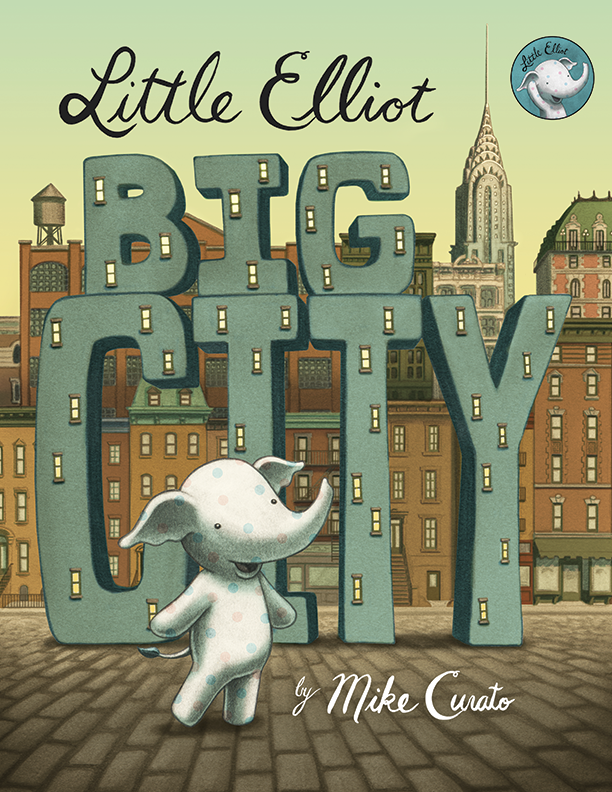 Illustrator and writer Mike Curato has savvy, sticktoitiveness and a whole lot of talent, a winning combination that led to a three-book deal (with Henry Holt Books for Young Readers) for his stories of a polka-dotted elephant named Little Elliot. Mike talks to us about how he put himself in a position to make his longtime dream a reality, shares what surprised him along the way, and offers up some advice for burgeoning authors. I’ve wanted to make children’s books for as long as I can remember. I tried the traditional route while I was still in college, mailing out book dummies and postcards to publishers. One transcript actually garnered some attention, but all the editors agreed it hadn’t found its groove yet. Self-promotion was a lot of work, and a lot of the time I was busy just trying to pay the rent. I established myself as a graphic designer to make my bread and butter, but I daydreamed of being in children’s publishing. Many years later, I was asked to illustrate a book by an author who was self-publishing. I’ve been asked to do this many times, but Amy Jones was the first one who actually offered to PAY! It was called Mabel McNabb and the Most Boring Day Ever, a very cute rhyme story about a sassy little girl who got into a bit of mischief. It was a great experience actually taking an entire book to finish and collaborating with an author. 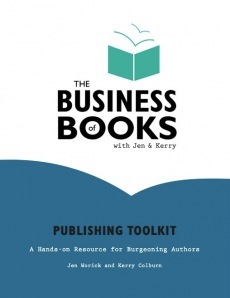 Meanwhile, I also attended a Business of Books seminar and put together a show featuring all new work. All of these things gave me confidence to start fighting for my dreams again. 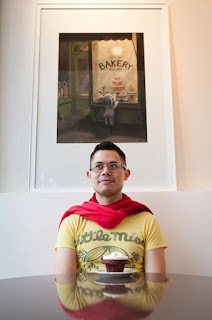 The story behind my debut title Little Elliot, Big City is a bit nontraditional. For years, friends who were in publishing urged me to attend SCBWI meetings (Society of Children’s Book Writers & Illustrators). I finally attended several local meetings in 2011, which encouraged me to attend the 2012 Annual Winter Conference held in NYC. The conference features a juried portfolio show, and I entered knowing that many of New York’s children’s publishing editors and art directors would be there perusing. I thought it would be a great way to get more visibility. Maybe someone would take my card! Well, I ended up winning the show, which was not necessarily in my plans. Talk about 15 minutes of fame! 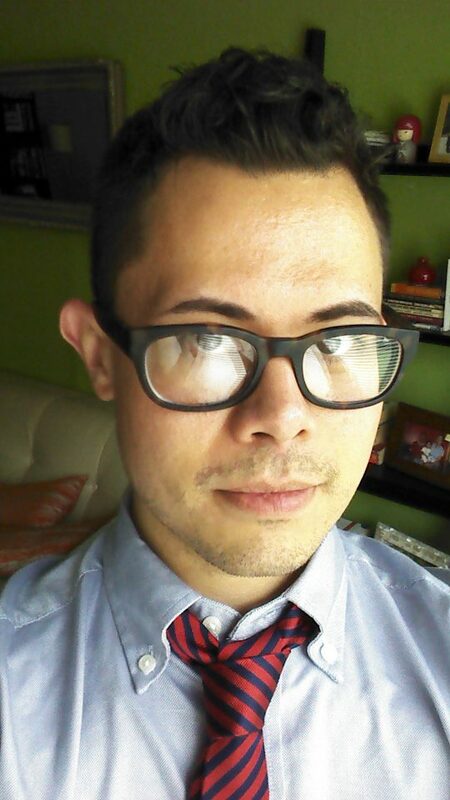 Within 24 hours, I was receiving phone calls and emails from different publishers and literary agencies. Everyone wanted to know about the little polka-dotted elephant in my portfolio, and about his story. The answer was that there was no story! I had some seeds of ideas, not a completed manuscript, but that didn’t seem to matter. People were enamored with this character. I was absolutely overwhelmed. Though I had been researching the children’s book industry for over a decade, I felt I lacked the insider knowledge to navigate the new terrain by myself. So, I decided to meet with several agents who introduced themselves to me, and ended up going with the fabulous Brenda Bowen of Sanford Greenburger & Associates. It was such a relief to know I had someone in my corner with experience not only as an agent, but also as an editor, publisher and author. Once I had a story that was “good enough” to show editors, we met with several houses to pitch the idea. The book sold at auction, and I decided to go with Henry Holt Books for Young Readers, who offered a three-book deal! The first book comes out September 2 in the US, and will be coming out later in several other countries (as of now we’ve confirmed Israel, Germany & China). Book one deals with feeling small and unnoticed. Little Elliot has a challenging time living in the big city. I think a lot of children can relate to feeling invisible or unimportant in the rush of the grown-up world. Although Elliot is small and can at times feel helpless, he learns that size is relative, and he can still make important contributions in a big way. In today’s modern age, I am surprised by how long everything takes! It’s my understanding that large book buyers like B&N and Amazon want to see hard copy proofs of the final book at least half a year before shelf date. That pushes production far away from release date. So, my first book is finished, and nobody but buyers will see it for the next nine months! Read ten times the amount of books that you read right now. I know that I still don’t read enough, and it’s so crucial not only to learn craft from others, but to be plugged into what is current, and to have a deep knowledge of what is classic. Well, Little Elliot received a three-book deal, so I have plenty of work cut out for me to finish the series. I’m always collecting little ideas for other books as well. I am also still doing freelance illustration and graphic design, which keeps me busy and helps pay the bills. I plan on attending the SCBWI Winter Conference in New York this coming February, so hopefully I will see you all there!